31 years is a long time for a hotel to keep the decor the same. But things are a little different aboard the ISS, where lab rats have been shuttled back and forth from Earth in the same modular boxes since 1983. Now, NASA has unveiled a new rat pod—and it could help us learn how to keep human passengers healthy as we travel further and further into space. As NASA and other space programs work towards sending human astronauts to Mars and beyond, everyone's keen to know how the human body will respond to microgravity conditions for longer than six months—the current limit for astronauts aboard the ISS. To figure out how all that floating will change human physiology, we're using rats, whose systems are similar enough to ours to be scientifically useful. Which brings us to the rat pods: These new boxes weren't just redesigned to improve efficiency. Rather, they're packed to the gills with sensors and cameras that will closely monitor the rodents' physiological systems, including cardiovascular, endocrine, immune, musculoskeletal, nervous, reproductive and sensorimotor. Scientists back home on Earth will even be able to watch the rat colonies (each module can hold up to six) in real time, thanks to embedded camera arrays. How will the little guys get around? Each pod is embedded with thin strata along the interior walls, which the rats can grip with their paws to propel themselves through the ISS's weightless environment. 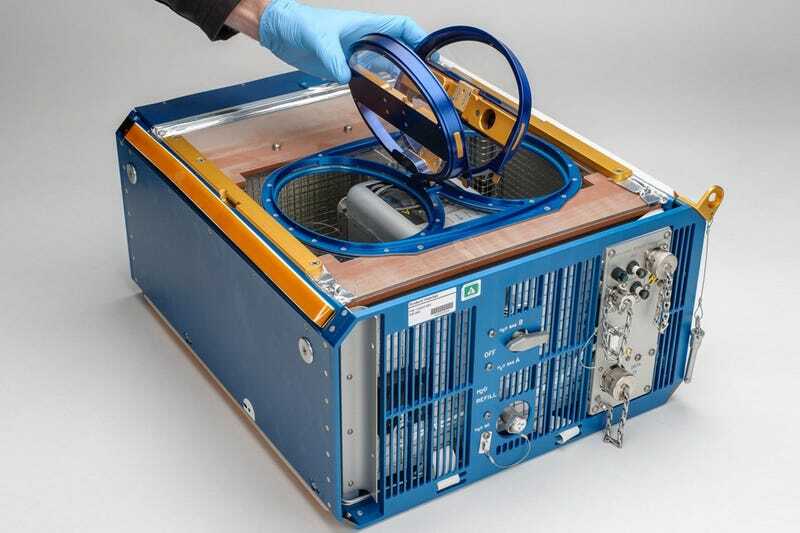 The first new rat boxes will fly on a mission this year aboard SpaceX-4, where they'll help NASA study bone and tissue loss in microgravity.